klm from the island’s famous medieval city of Rhodes. 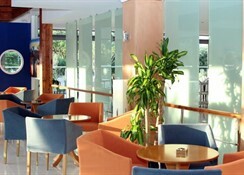 style of holiday you prefer, in Rhodes you will have an amazing time and will enjoy every minute of it! noblemen and ladies wandering in the mysterious streets of the Medieval Town! An experience not to be missed for the whole family! safe boxes, mini fridge, balcony whether terrace or excellent views. 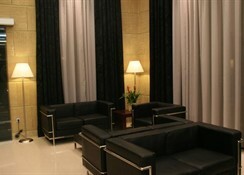 beds or king bed, bathroom with shower and furnished balcony or terrace. 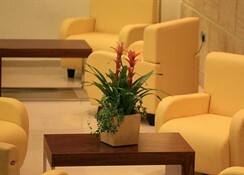 beds or a king bed, bathroom with shower and furnished balcony or terrace. sofa bed, bathroom with shower and furnished balcony or terrace with fantastic panoramic view. bathroom with shower, furnished terrace and shared Pool with fresh water. Restaurant, Main Bar, Pool Bar offering light lunches, snacks, refreshments, coffees and cocktails. 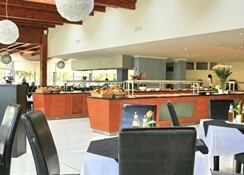 Theme Buffet, daily different salads, cold and hot starters, fruits and pastries. **Smart casual dress code is required at restaurants. **All bars and restaurants are open according to weather conditions. Animation Daily evening entertainment & leisure program. 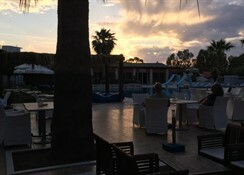 A full day and night animation program featuring among others various theme nights; available six days a week The hotel’s entertainment team offers daytime activities such as morning exercise, aqua aerobics, aerobics, sport activities, games and competitions. Organizing as well evening entertainment with shows, folklore shows, live music band and dance evenings. The All-Inclusive program starts upon arrival and ends 12:00 noon of departure day. Timetables may vary during season operation. 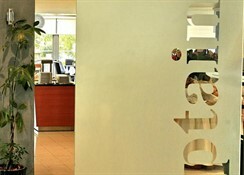 Our staff is in your disposal to organize any special event for you during your stay.